Jodie is a civil/chancery practitioner and has practised exclusively in these fields since being called in 1996. She has a particular interest in landlord & tenant (commercial and residential) and contentious probate. Reported case: Speedwell Estates Ltd v Dalziel 2001 EWCA Civ 1277 – successfully represented Claimant landlord both at first instance and on appeal to the CA – notices served under the Leasehold Reform Act 1967 were defective in failing to provide statutorily prescribed information and, as such, could not be relied upon by Defendant tenants in their claims to acquire the freeholds of their properties. 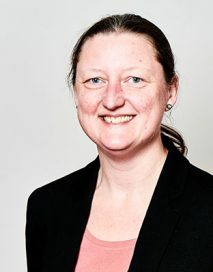 Jodie frequently represents parties in court of protection work and regularly accepts instructions from the Official Solicitor and local authorities. Speedwell Estates Ltd -v- Dalziel 2001 EWCA Civ 1277 : Successfully represented Claimant landlord both at first instance and on appeal to the CA – notices served under the Leasehold Reform Act 1967 were defective in failing to provide statutorily prescribed information and, as such, could not be relied upon by Defendant tenants in their claims to acquire the freeholds of their properties.